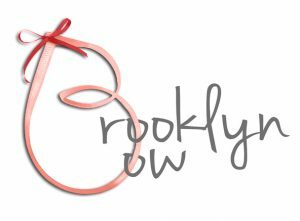 September 2017 sees the launch of Brooklyn’s latest Swim range including 2 new stories Bondi and Monaco. These two stories are based on beaches with two dramatically different looks. 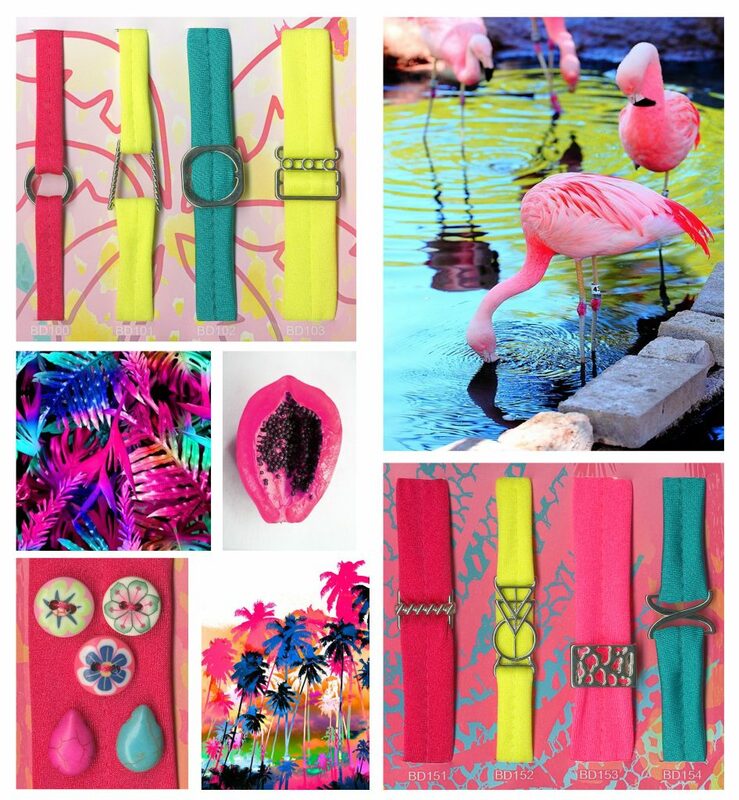 Bondi with it’s funky and neon tropics showcase our extensive bead collections with flashes of silver metal accessories reminiscent of slices of silver reflecting in the sea of a pink Hawaiian sunset. Palm and leaf prints along with playful pink papaya textures really give this collection a Tropicana vibe! Monaco focuses more on sophisticated styling. 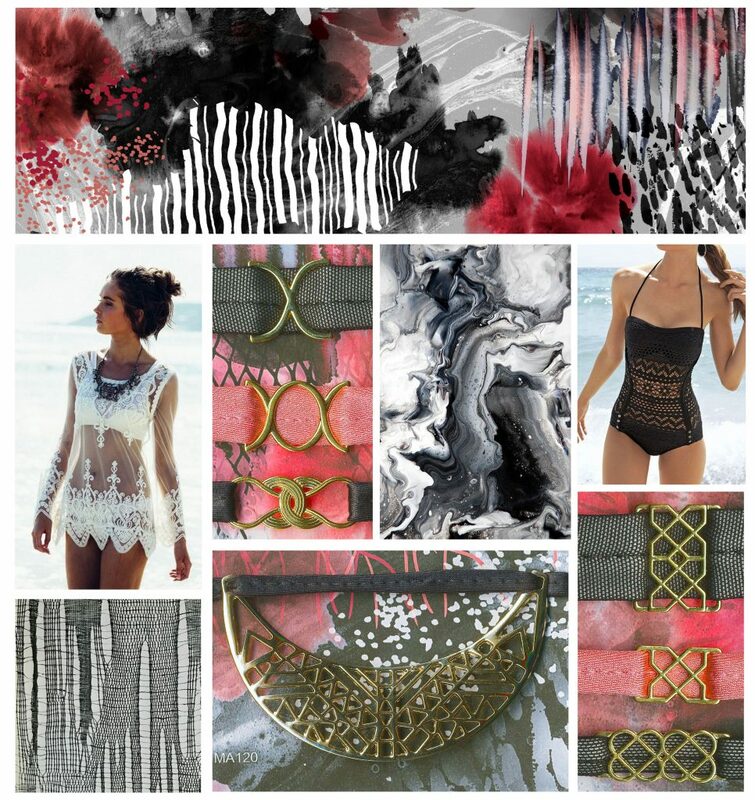 Ink washes and watercolour marbling; dark colours with black and white lace and meshwork go so well with the current trends. These high-end gold clasps and with interest patterns and features will set off any lace garment.